I am the author of Living Clojure by O’Reilly. It is both an introduction and training plan for developers to learn Clojure. The writing of the booking was inspired after being introduced to a running program called Ease into 5K. Before trying the program, I had tried running on my own. Each time, I ended up quitting before too long. I thought that I just wasn’t cut out for running. But in reality, I tried to do too much too fast. After hearing someone say that they had tried to pick up Clojure over the weekend, didn’t get too far, and didn’t think Clojure was for them, I made the connection. Doing too much too fast, isn’t only a problem with learning to run, but also a problem with learning programming languages. The reason I had finally succeeded with running was that I gradually worked myself up over a course of seven weeks. The book also follows this methodology. The first half of the book is a guided introduction to Clojure and some of its key libraries. The second half of the book is a structured set of daily exercises over a course of seven weeks that will give your brain a gradual doses of functional programming that will have you living Clojure at the end. 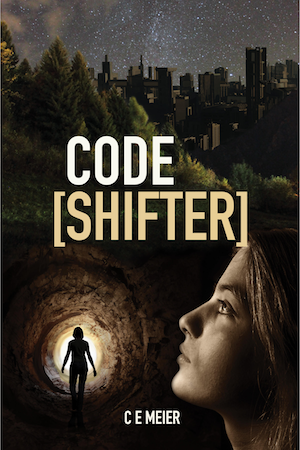 Twelve year old Eliza discovers she has the power to change a machine’s code just by touch. When the government’s evil artificial intelligence takes her brother away, she uses her new ability to fight back. Now she’s on the run as an outlaw and her only hope to save him is to find the Underground Programmer’s Academy. She needs to learn how to control her powers and fast. If she doesn’t get her brother back in time, his brain could be scrambled forever.